Case file: CEM-UNI-2010-09-18 – I met up with the New Jersey Ghost Hunters Society for a Cemetery Walk at Union Cemetery, Hackettstown, NJ. With my fellow teammate, Dave, we set out to conduct an investigation to see what evidence would present itself. 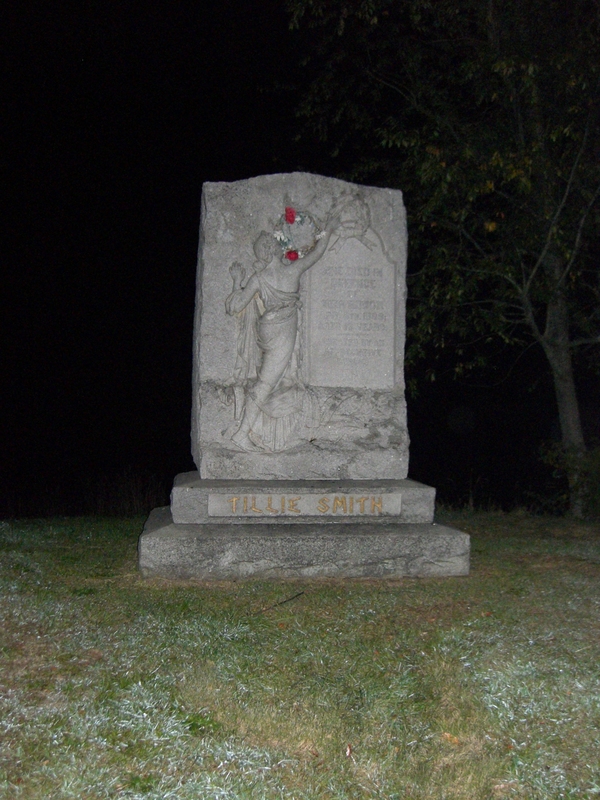 Tillie Smith is the legend of the cemetery. 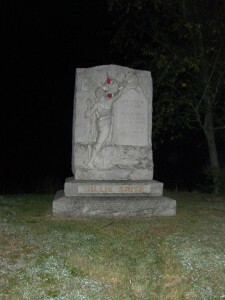 Killed at age 19, the community erected a tombstone in her honor.This was our first stop that night.